Most people immediately think "falling leaves" whenever they think about autumn, but the leaves aren't the only part of the landscape that vanishes as the weather gets colder. For a lot of species, this is a time of migration. 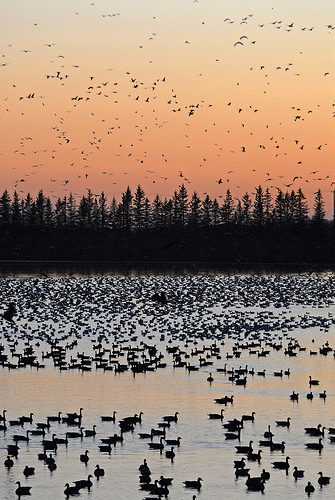 If the birds are all moving to warmer places, make sure you get out there and document those migrations—they can make for some truly spectacular images.